Graded VG/EX 50 by SGC. 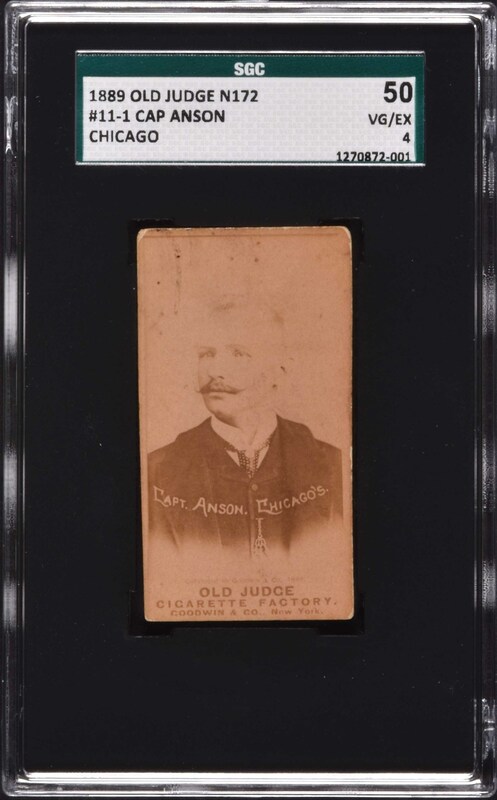 Attractive 1889 N172 Old Judge portrait example of Cap Anson. The offered example is crisp, both front and back, with minor wear to the top two corners and only slight hints of wear to the bottom two. The photograph is a little light, a characteristic common to most N172 Cap Anson cards. 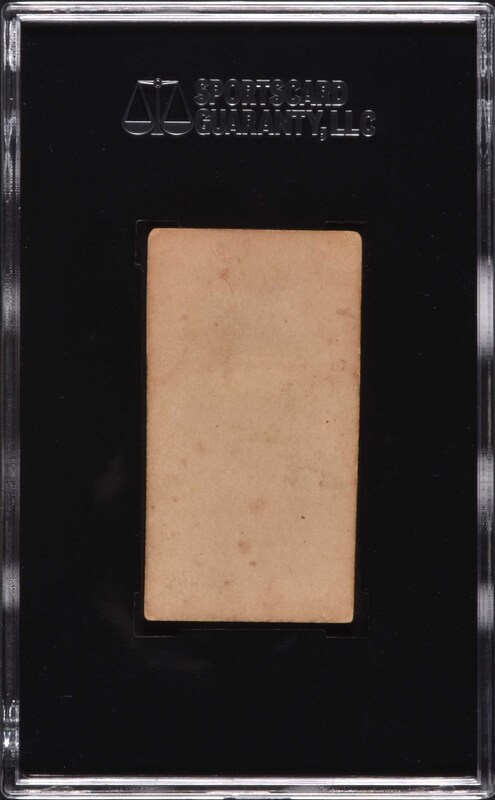 This is a great example of the N172 Cap Anson, one of the nineteenth century's most desirable and classic cards, and a card which would be a significant highlight in any advanced collection. Reserve $500. Estimate $1,000/$2,000+.